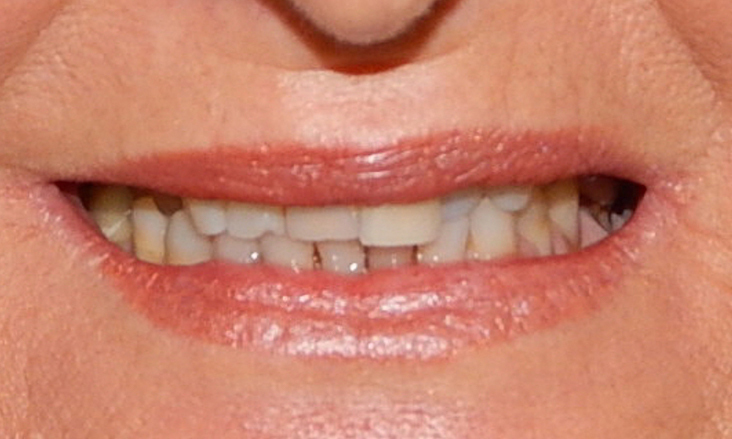 This lovely 58 year old lady was unhappy with the appearance of her teeth to the point that she did not feel comfortable smiling. 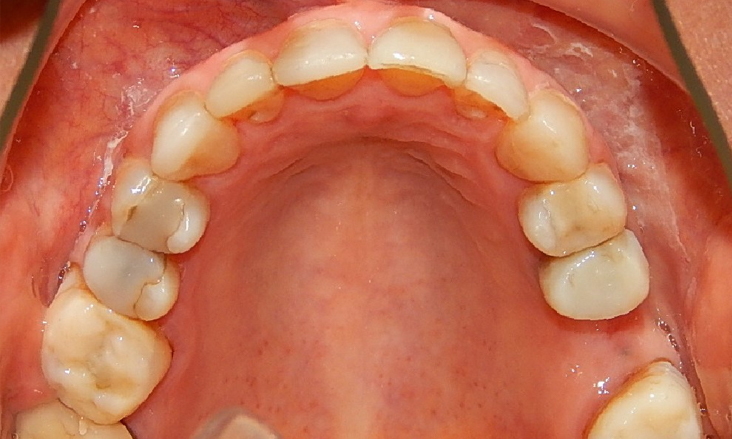 The upper front teeth were different lengths due to wear and overeruption of some teeth. 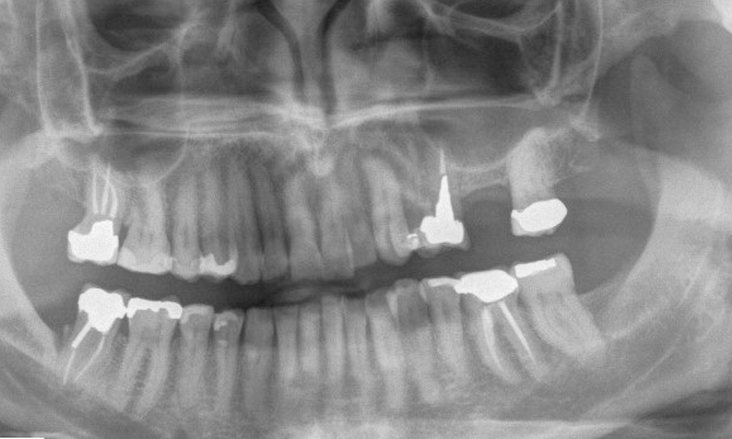 The OPG x-ray shows considerable dental history with a missing upper first molar tooth, a few teeth that have had root canal treatments and extensive restorative care. 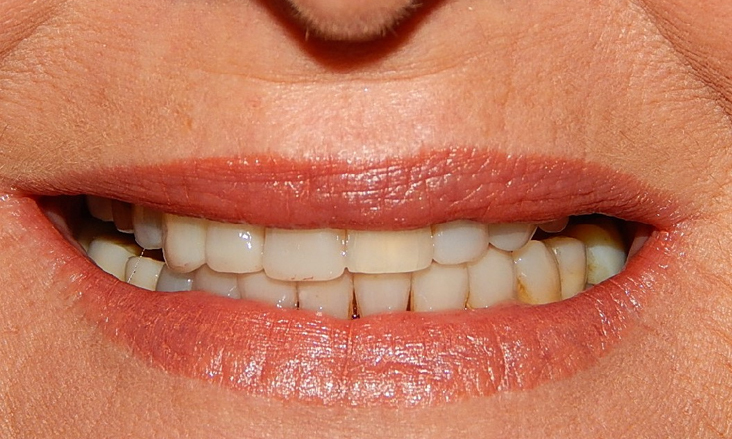 An interdisciplinary approach to her treatment was embarked upon with invisalign orthodontic treatment to reposition the teeth, particularly the anterior teeth, to enable restorative treatment to improve the appearance of the teeth. 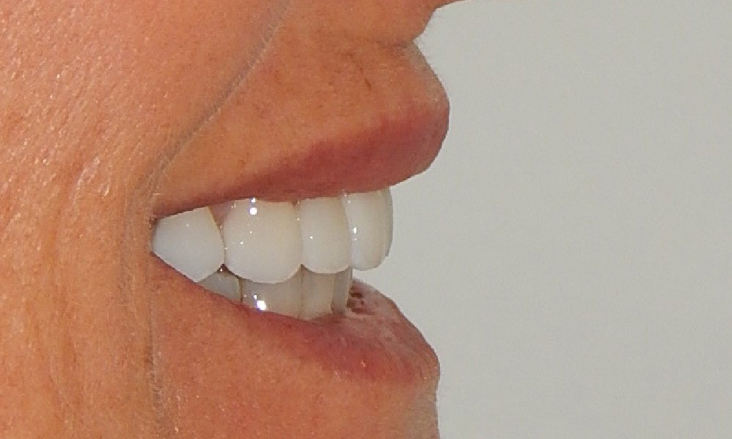 The main aim of the invisalign orthodontic treatment was to reposition the upper anterior so that the gum heights were correct to then enable the improvement to the shape of the teeth with restorations. 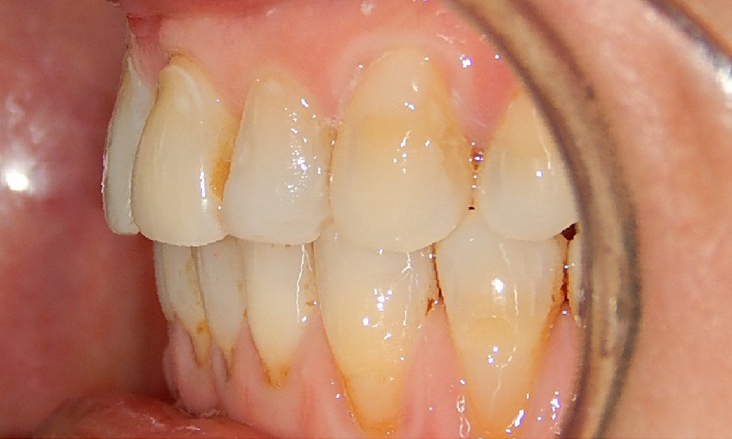 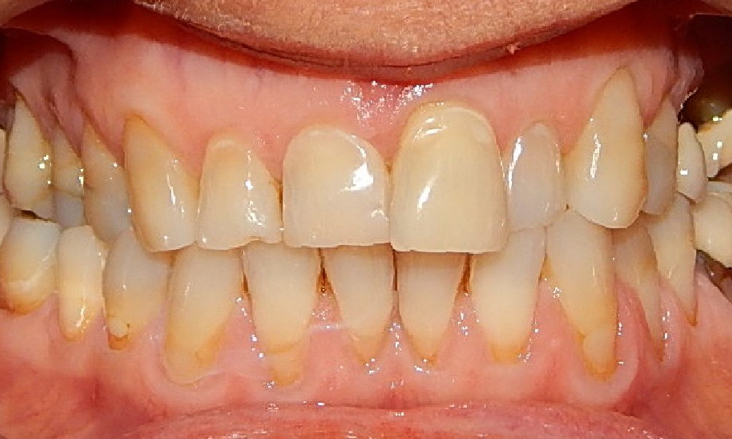 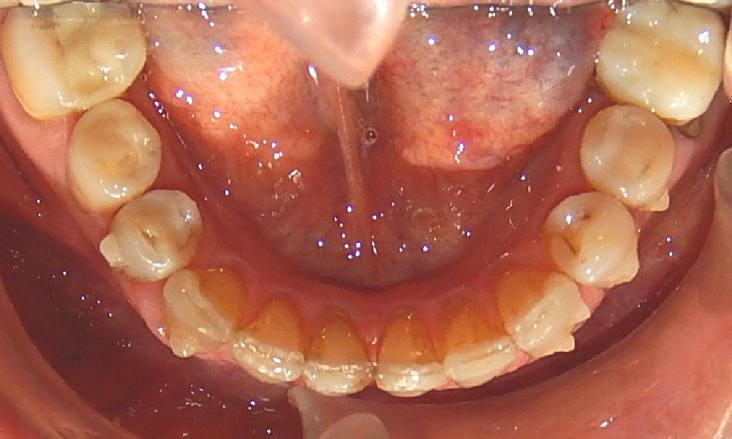 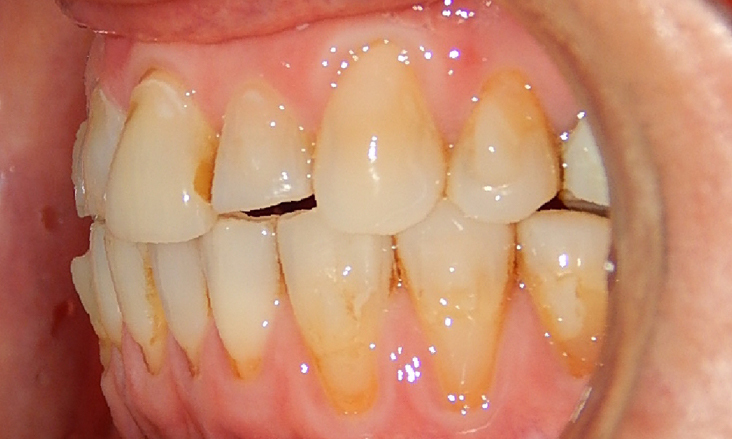 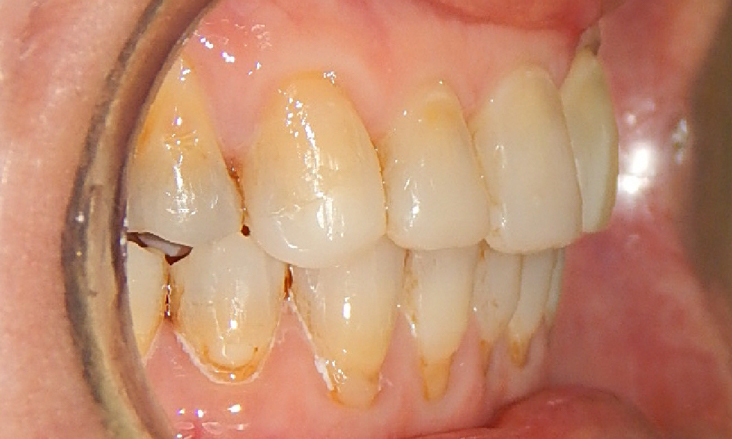 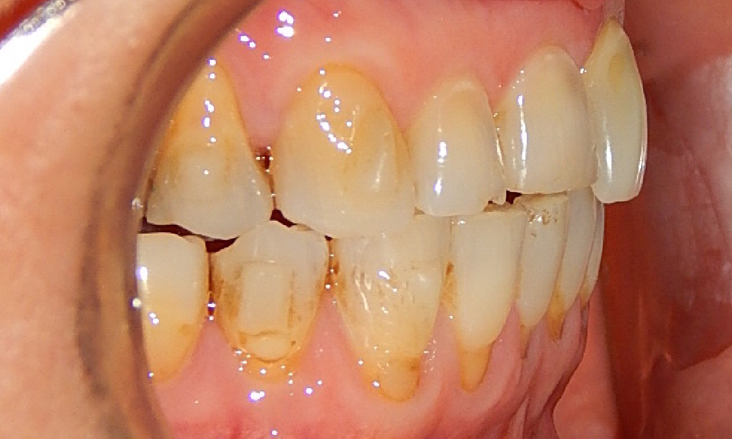 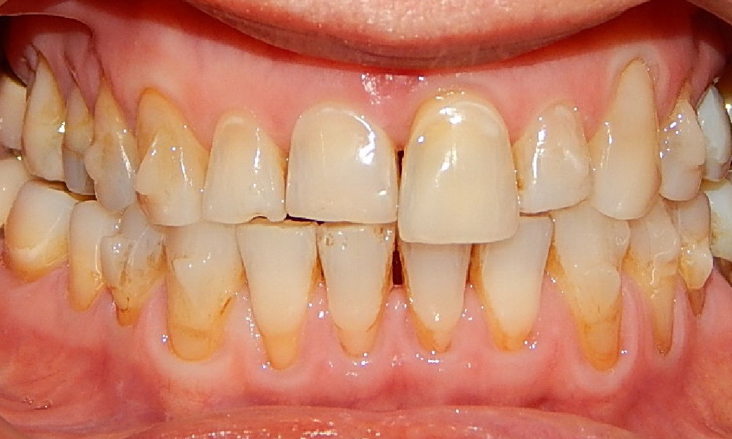 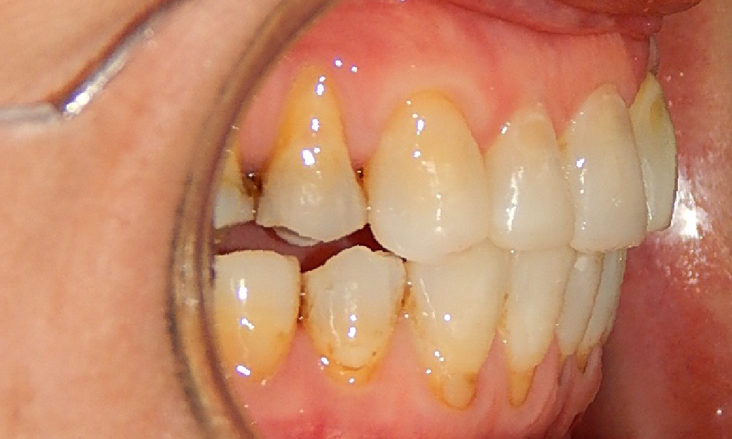 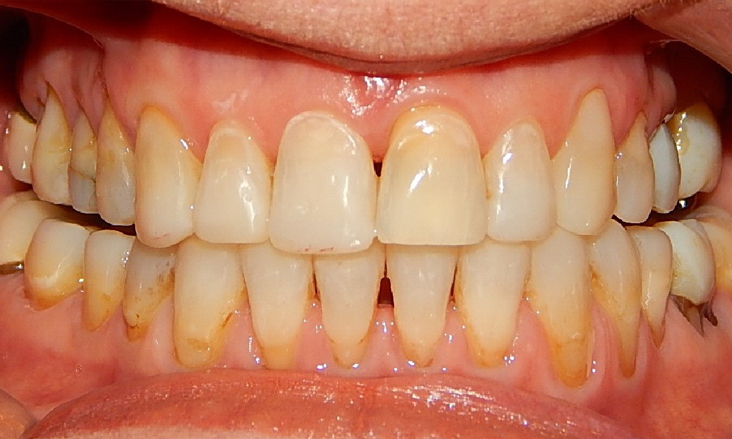 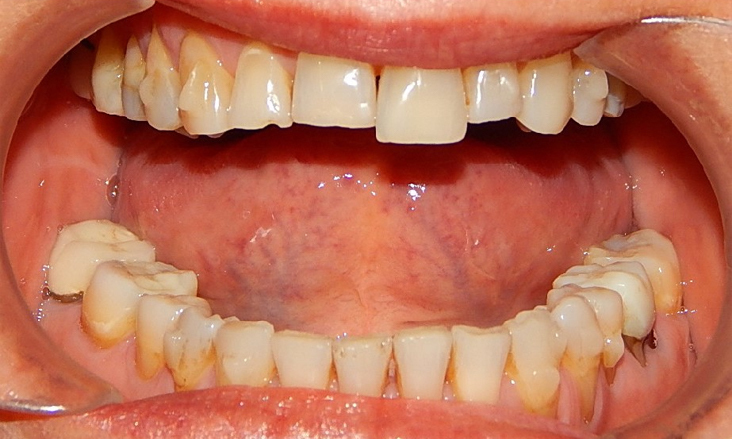 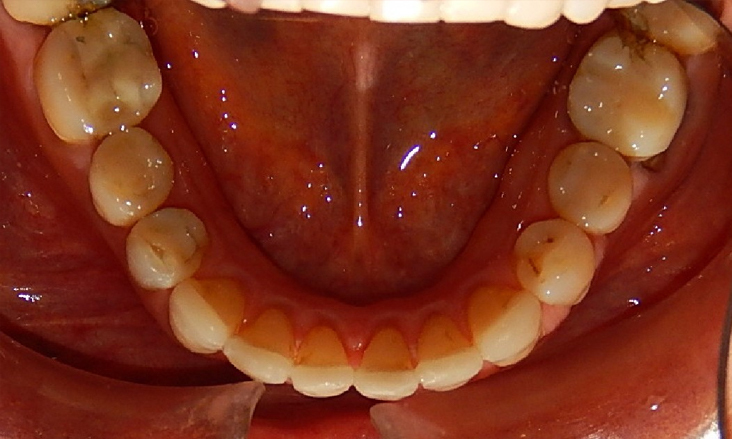 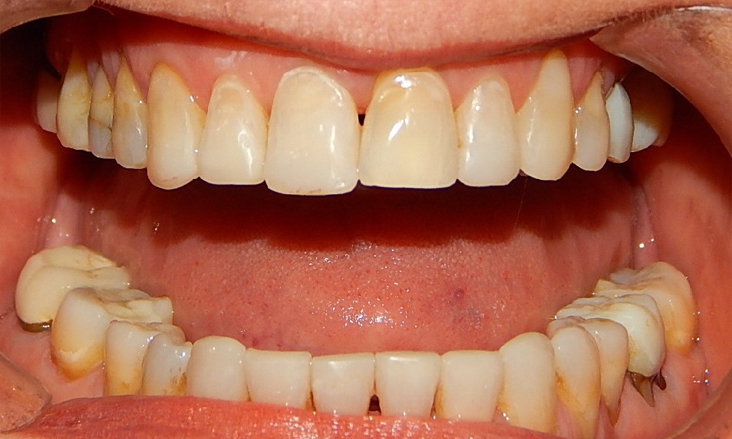 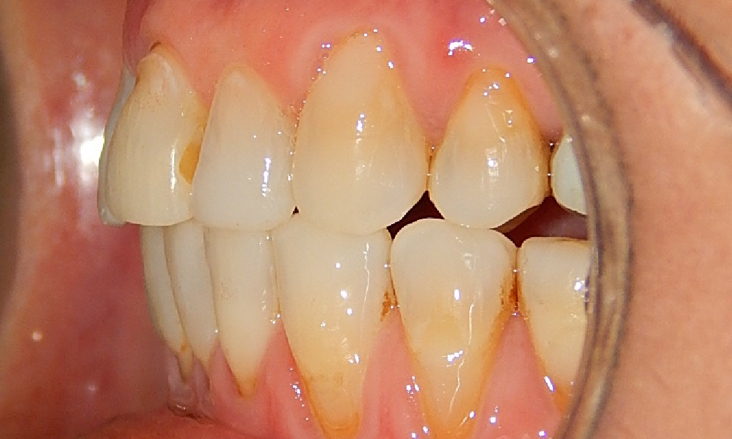 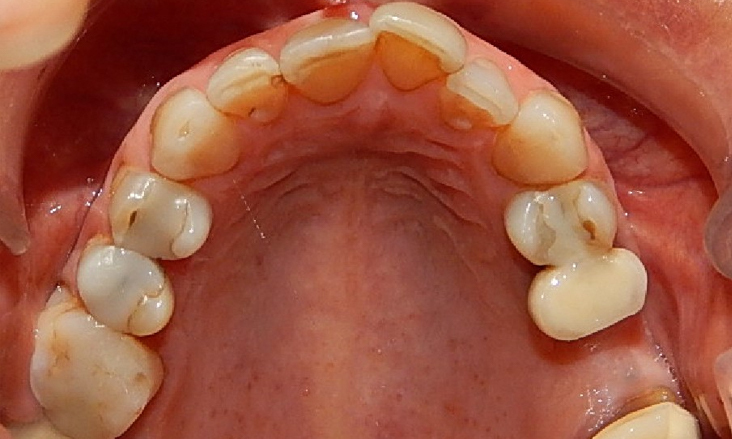 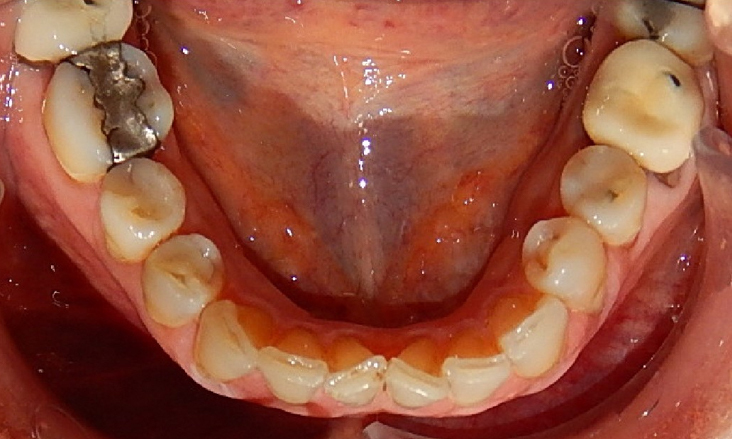 Bleaching of the teeth was undertaken at the same time using the invisalign aligners as bleaching trays. 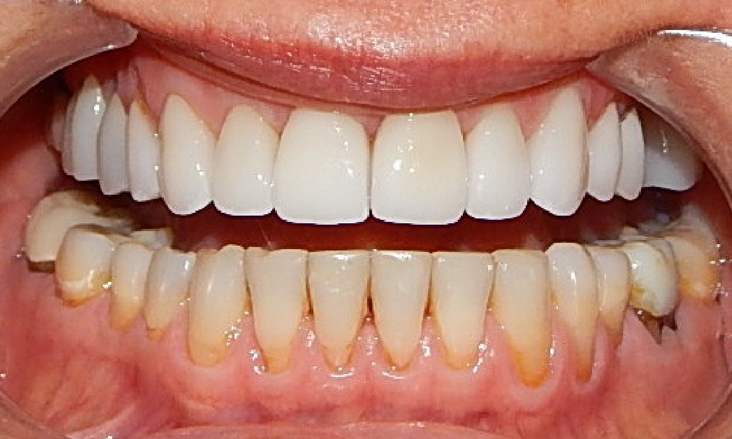 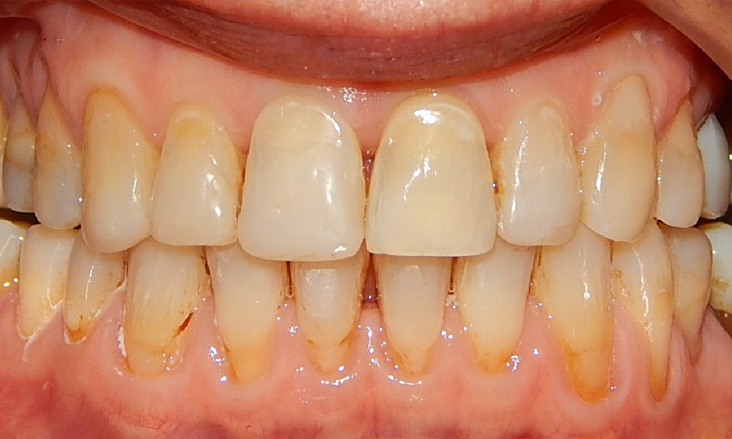 At this stage the restorative dentist (in this case a Prosthodontist) restored the upper and lower anterior teeth in composite resin to the ideal shape and size disregarding the bite as the bite was to be finalised with a second stage of invisalign. 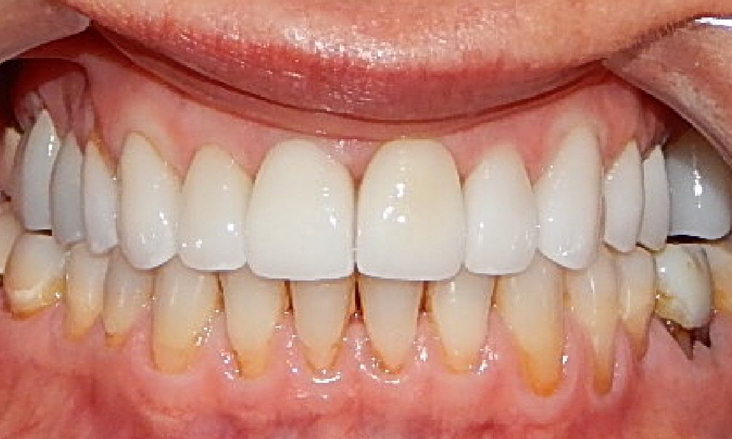 The same day this was done the patient had new invisalign impressions and new upper and lower clear plastic removable retainers made to hold and protect the teeth and restorations. 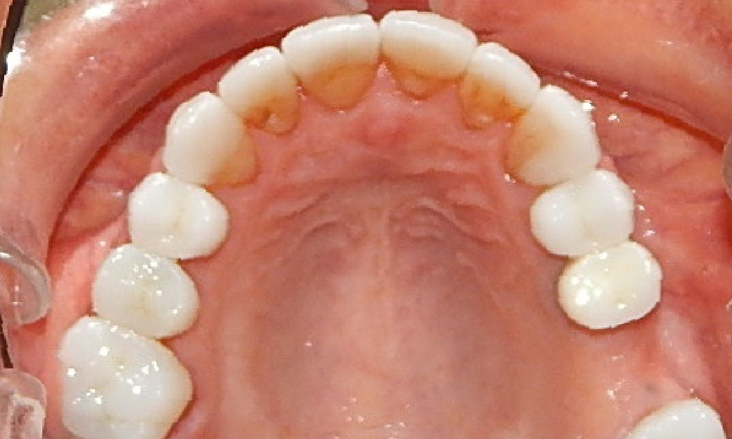 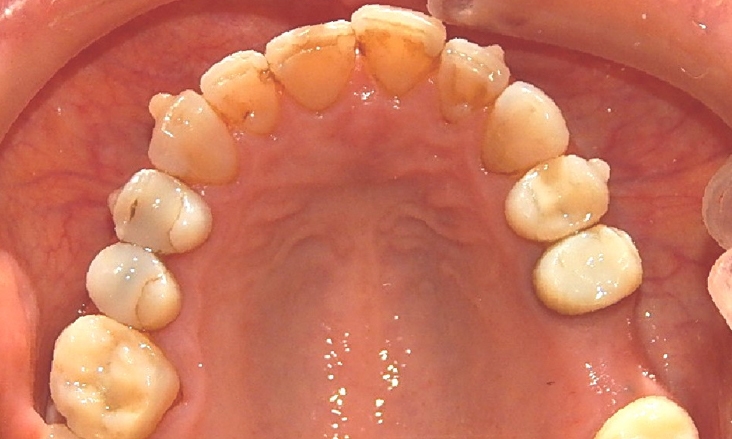 Six weeks later the second stage of invisalign orthodontic treatment commenced to finalise the tooth positions. 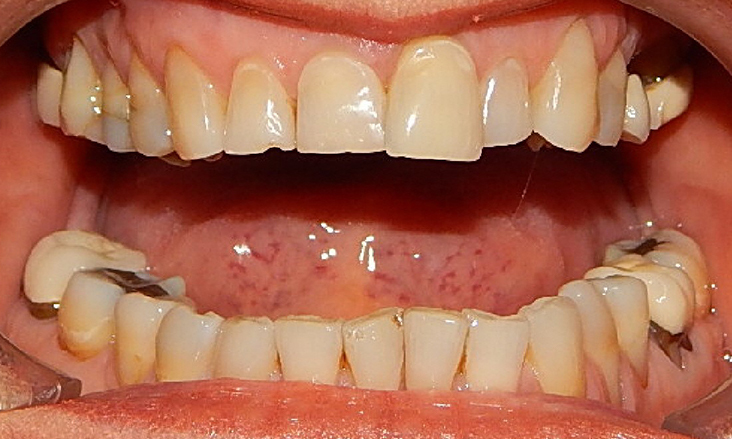 The second stage of the invisalign orthodontic treatment is finished with tooth positions now close to ideal to enable the second stage or restorative care. 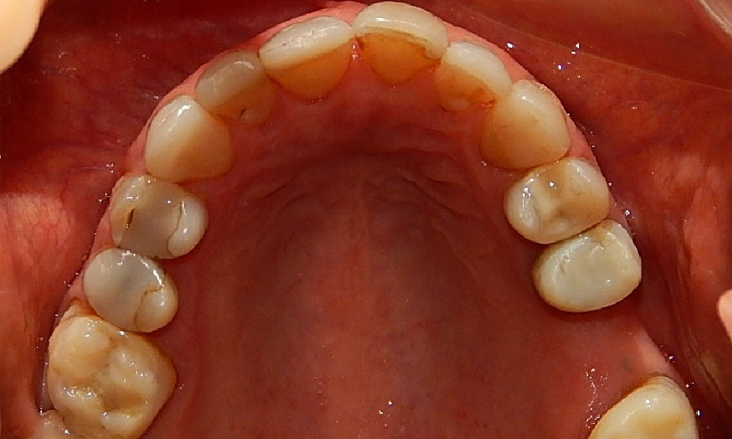 Some final tooth movement will happen in retainers that were provided. 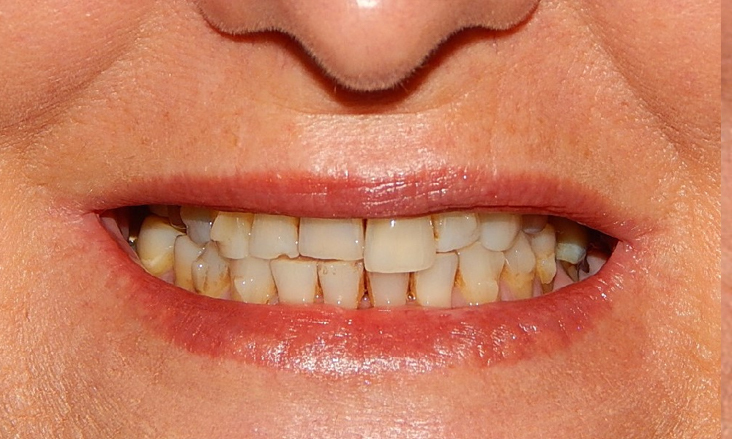 Often, we find a transition in patients smiles during this process. 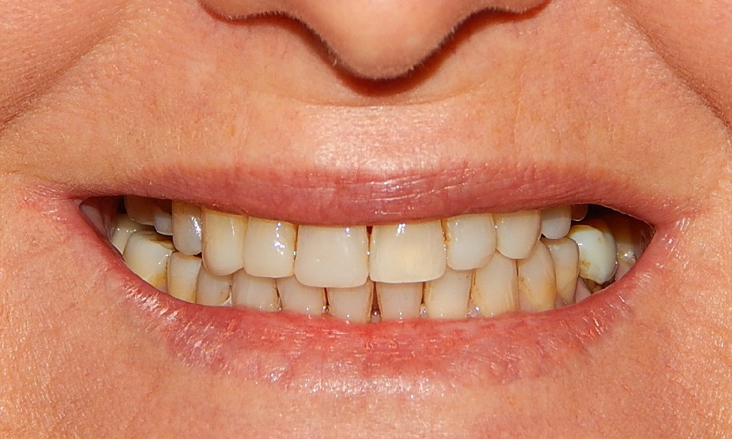 They become much happier to show off their teeth and so they start to smile more naturally as has happened for this lady. 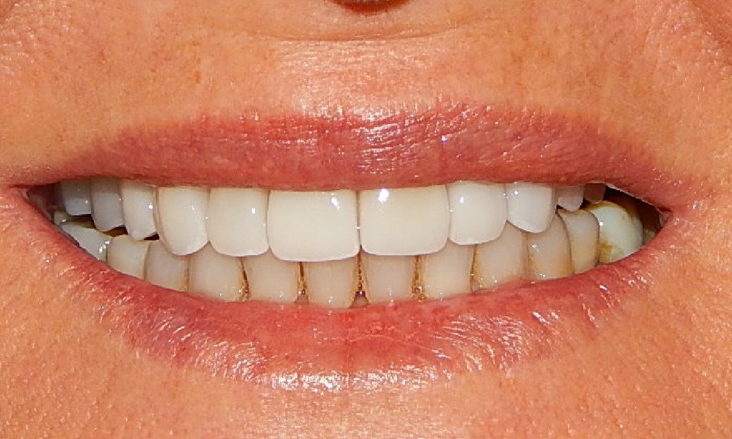 The invisalign orthodontic treatment is now complete and definitive restorations have been placed by the restorative dentist. 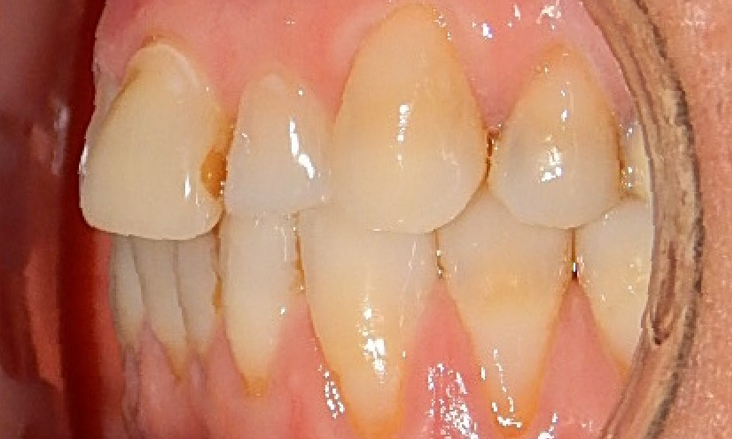 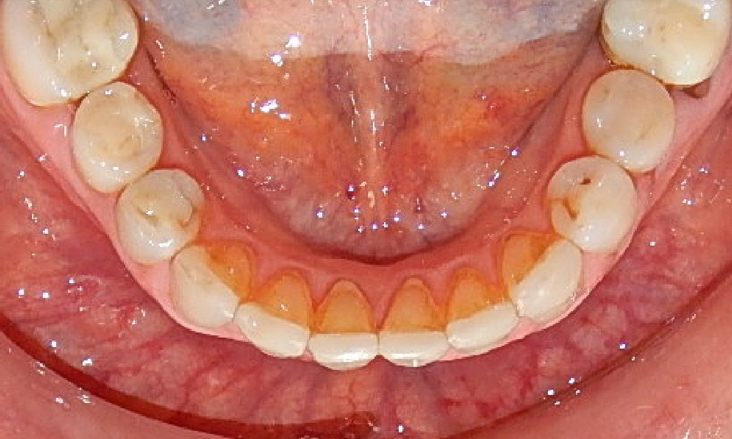 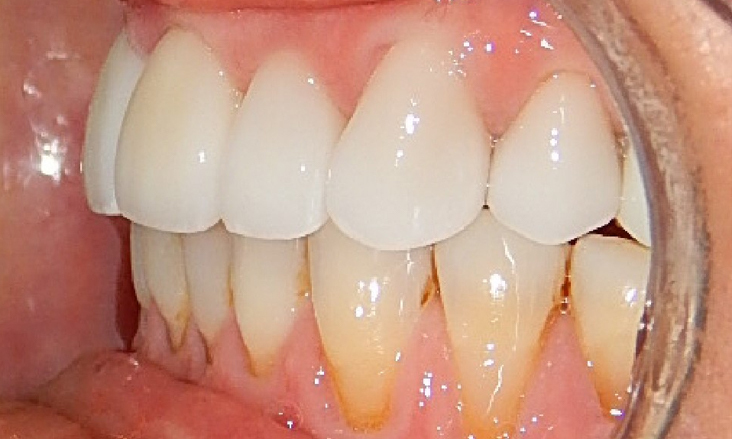 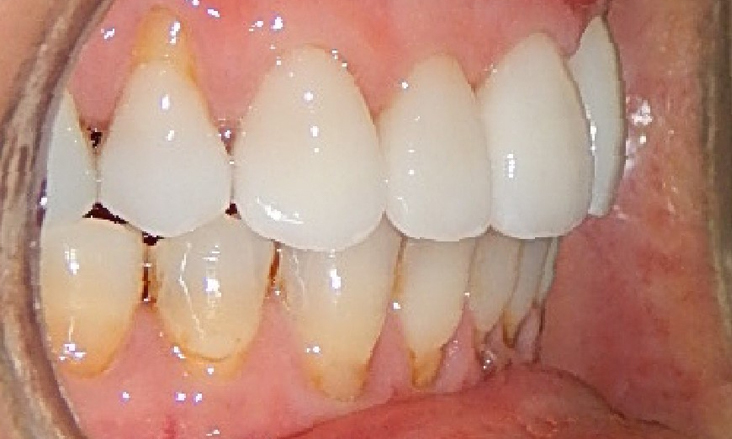 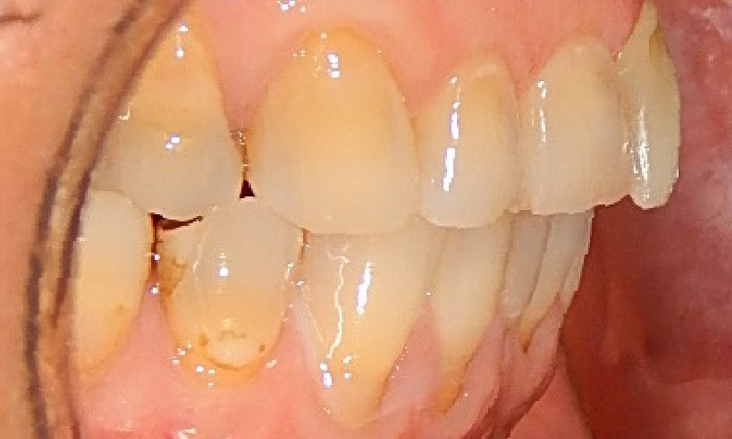 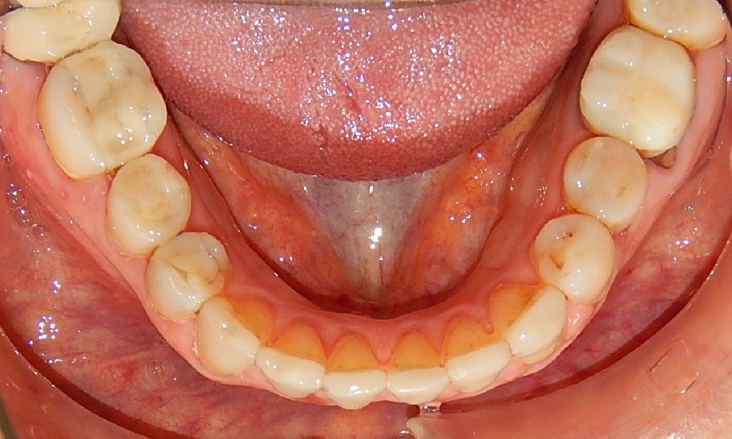 In the this case the patient chose porcelain restorations though there are also other options.